Fine Quality English leather Plain Bridle with Stainless Steel fittings. 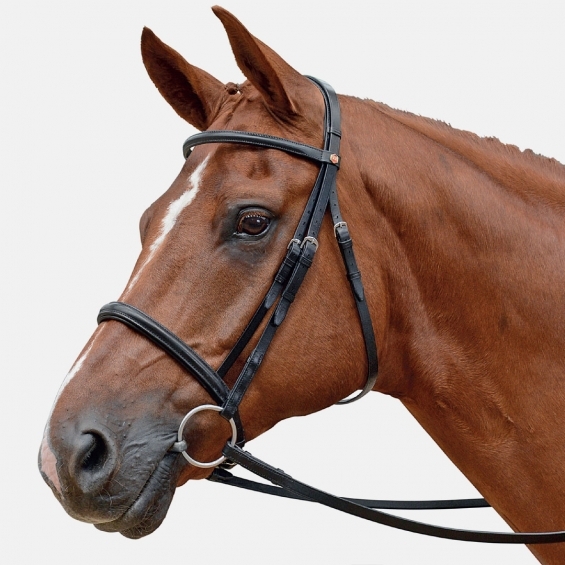 This Plain bridle comes with a Plain Flat Noseband which is available in 1.5″ & 2″ widths. 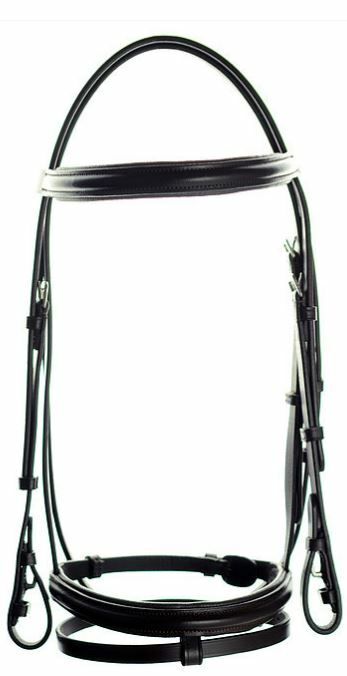 Ascot Quality Leather Show Bridle with Stainless Steel fittings. 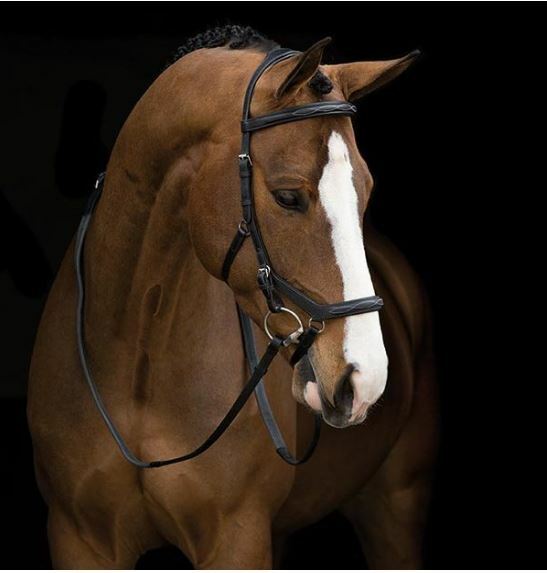 This Show bridle comes with a Lightly Padded and Beautifully Raised Browband and Noseband. A very attractive bridle. May be used for many disciplines including Ridden Arab, Riding Horse/Pony, First Ridden, Hack & Show classes. Excellent Value from Ascot. 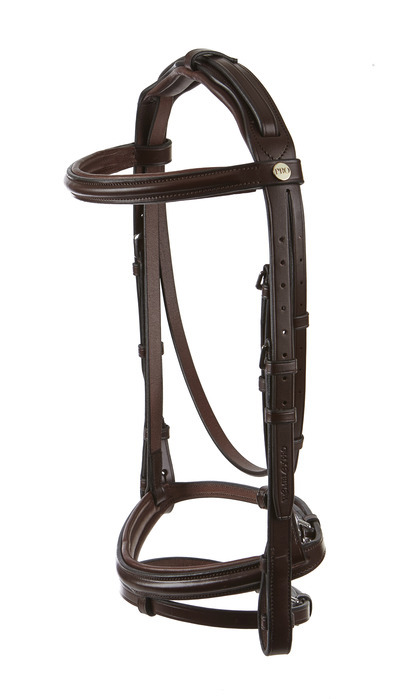 Quality Leather Ascot Padded Flash Bridle with Stainless Steel fittings. 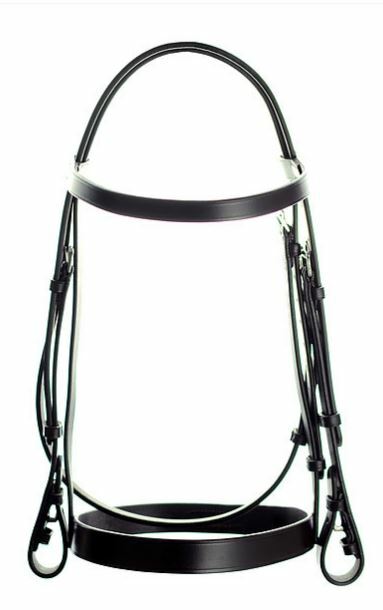 This Ascot Padded Flash Bridle comes with a Lightly Padded and Beautifully Raised Browband and Noseband. 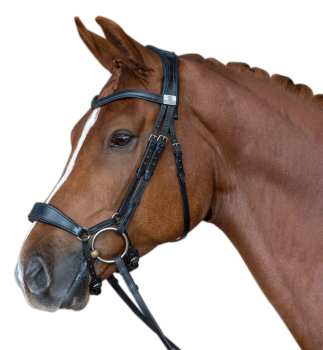 The flash noseband helps prevent bit evasion, one of our most popular bridles, suitable for all kinds of riding. Fantastic Value from Ascot. 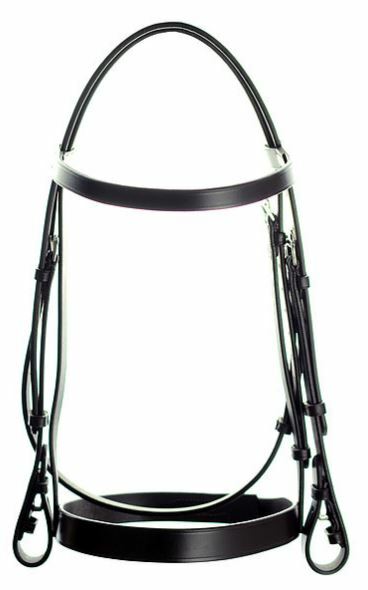 Quality leather Ascot bridle with Stainless Steel fittings. 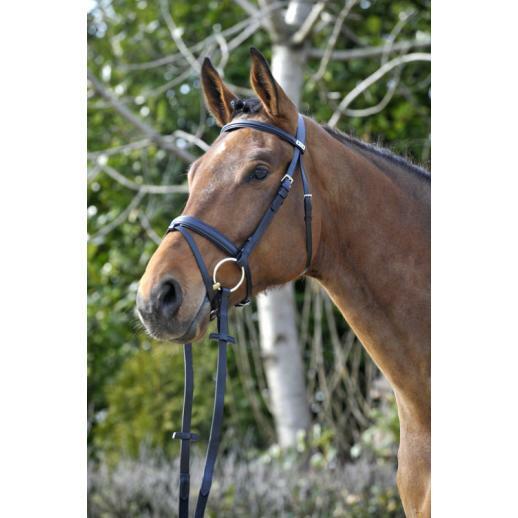 This Plain bridle comes with a Plain Flat Browband and Plain Flat Noseband. A very smart attractive bridle. Ideal for General Riding, but also suitable for Mountain & Moorland, Cob & Hunter classes. 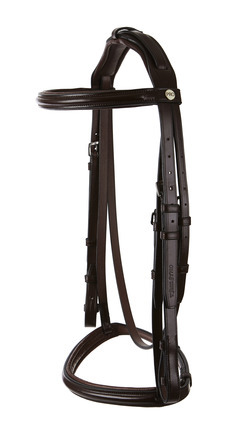 Broad classic bridle with silver-coloured fittings. 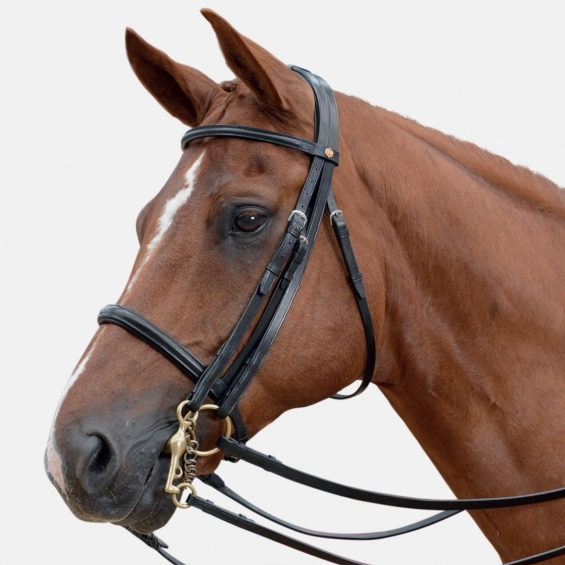 Brow- and noseband are available either in doubled leather or with soft underpadding. Honey and havana coloured bridles have white stitching, ebony and black bridles have black stitching. 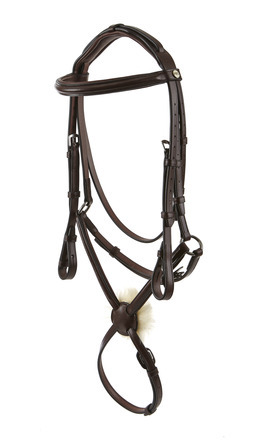 5/8″ cheek with 5/8″ Nylon Lined Reins and Flash Noseband. 5/8″ cheek with 5/8″ Nylon Lined Reins and Show Noseband. In 2000 Albion created the first Pressure Relieving Bridle – it’s still one of the world’s most comfortable bridles, only now with almost infinite options. Tailor made to perfection with a patented design (European Patent No. 1302440), the Original Pressure Relieving KB Bridle has an almost infinite range of options, which you can ‘Mix and Match’ styles and sizes to achieve the perfect fit and look everytime. 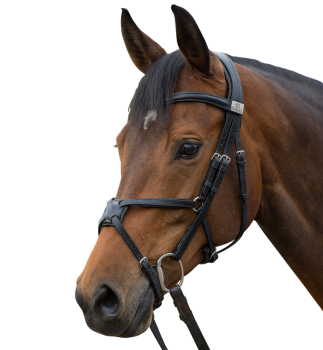 Designed with Klaus Balkenhol, the Original Pressure Relieving KB Bridle minimises pressure, maximises comfort, aids willing submission and improves performance in all disciplines at all levels. The slip is anatomically positioned over the padded, cutaway headpiece to disperse poll pressure. The Original Pressure Relieving KB Bridle also features an oversized browband to ensure ear clearance to minimise nerve pressure and has a padded noseband for extra comfort. 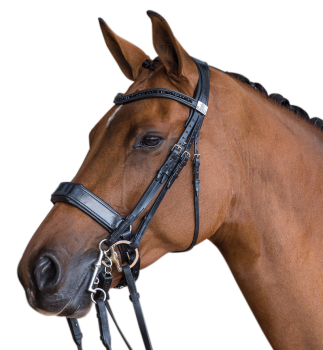 Made from the very best full grain bridle butts, the Original Pressure Relieving KB Bridle is without doubt one of the most popular bridles on the market today. Renowned for its quality and durability it enhances every horse. If you would like to customise the KB Competition Snaffle Bridle please contact us. 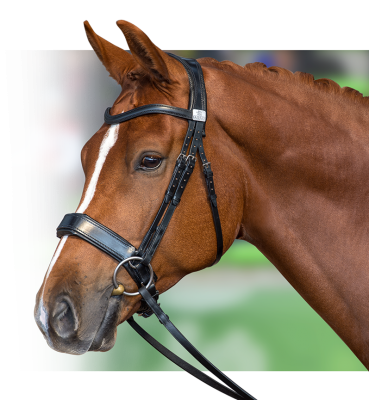 The Performance Bridle is the only bridle to have been designed and developed using pressure mapping (by Pliance) and gait analysis (by Centuar Biomechanics). Our testing and research into different bridle designs identified six key areas of peak pressure, common to most bridles. Further scientific study proves that the reduction in bridle pressure afforded by the Fairfax Performance Bridle significantly improves range of movement, extension and flexion in competition horses. 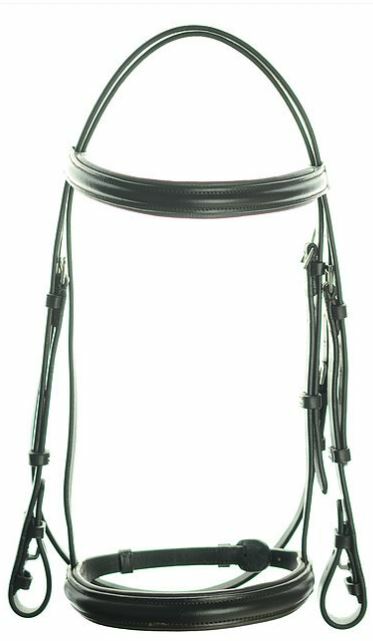 In addition to reducing pressure, the Fairfax Performance Bridle enhances the horse’s comfort by improving stability. Various browband options available as extras.